There are many possible causes of eyebrows and eyelashes loss depending on different symptoms and medical history that may accompany your hair or scalp complaints. This can include pitting or ridging of the fingernails, loss of body and facial hair with the loss of eyebrow or eyelashes. 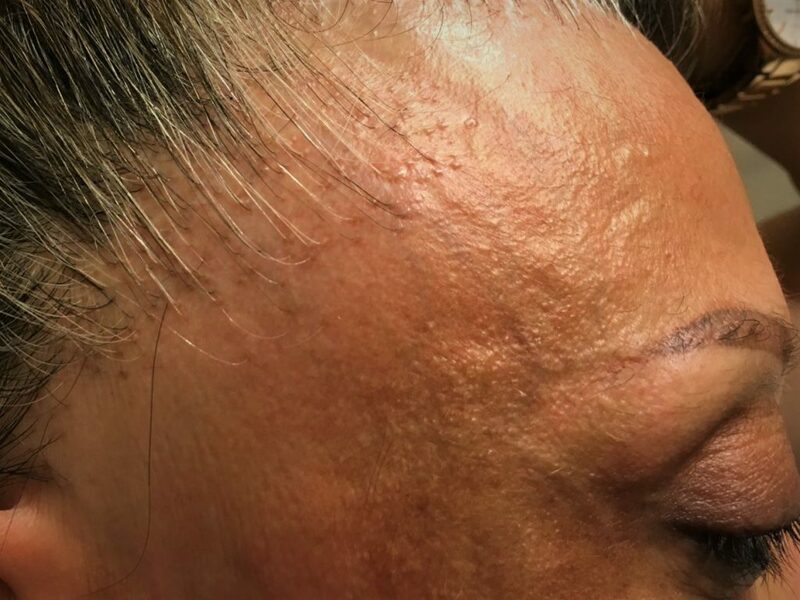 Other hair loss conditions that may be of an autoimmune nature that can involve the loss of eyebrows such as an underactive thyroid or vitiligo are termed “markers of underlying conditions”. It would be a trichologist’s responsibility to highlight these to the GP for further testing, these can also be investigated privately. In addition, there are conditions such as nutritional deficiencies like pernicious anaemia (unable to store B12) and of course anxiety and stress hair loss which can cause an overall reduction in the hair density. Patients attending with this concern often report that their general density is less dense. The photo included here shows an example of one condition which could affect the eyebrows, eyelashes, facial hair and pubic hair. This is a type of thinning hair found in women that are regularly seen at Sussex Trichology in West Sussex. These symptoms obviously cause the sufferer much distress as the appearance has dramatically altered the hairline since the eyebrows define the face. Shuna Hammocks, our Consultant Trichologist, is able to diagnose your condition and discuss it at length and then design a treatment plan for you. It may be suggested that you attend the clinic for hair treatments which involve a combination of creams, steam and massage. 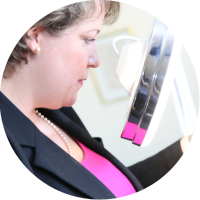 Following your consultation at Sussex Trichology, Shuna Hammocks and her clinical assistant Kelly are able to sympathetically manage your concerns and guide you and your hair back to health. We are passionate about being a support to those most upset, any type of hair loss is frightening and aside from treating with your bespoke regimen at home, you may need to call, text or email on occasion to ‘check in’. The lovely Emma Davies is an experienced semi-permanent make-up technician who is able to help on both a cosmetic and emotional level with eyebrow, eyelash and hair loss of the scalp!